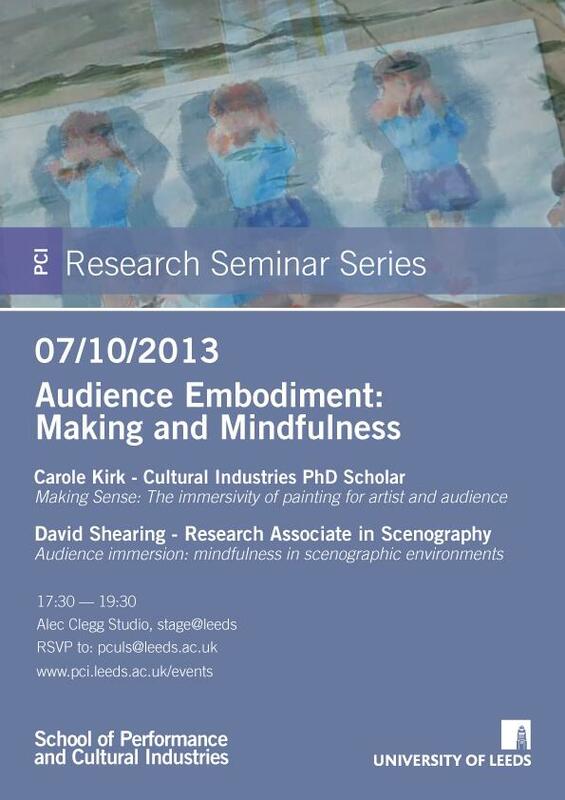 I will be speaking with David Shearing next Monday 7th October at 5.30pm about my research at the first of this year’s Research Seminars at the School of Performance and Cultural Industries, University of Leeds. 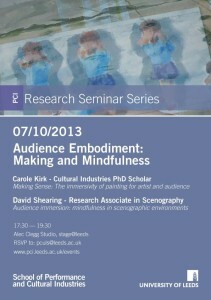 Our joint theme is ‘Audience Embodiment: Making and Mindfulness’, and I will be presenting a paper on ‘Making Sense: the immersivity of painting for artist and audience’. This entry was posted in PhD by Carole. Bookmark the permalink.